Do you ever need a quick birthday gift and don’t know what to make? I found myself in this predicament today. We have a birthday party later this month; I didn’t know that an owl hat was the little girl’s cup of tea, but I still wanted to make her something adorable. 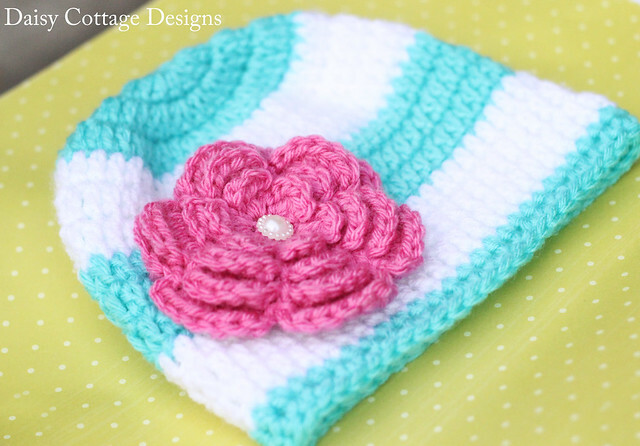 After perusing the Internet for some inspiration, I decided to make a simple, striped beanie with a big ol’ flower. 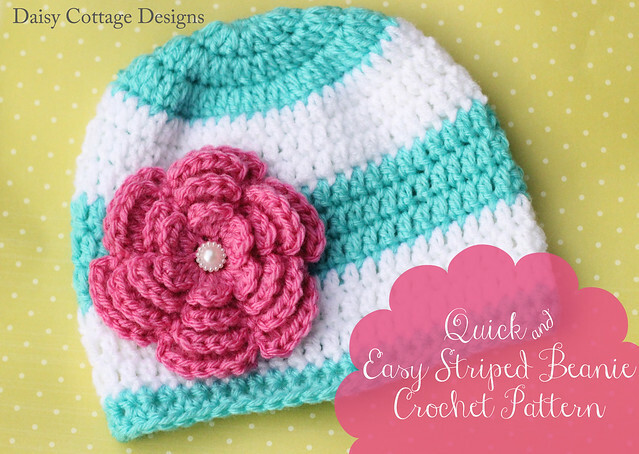 You’ll need three different colors of worsted weight yarn (I used some scraps of Vanna’s Choice, Hobby Lobby’s “I Love This Yarn!,” and something I bought on clearance so long ago I can’t remember what it is) and an I crochet hook to make this hat. This hat fits kids with heads 18-20″ around. Ch 2 does NOT count as the first stitch in this pattern! 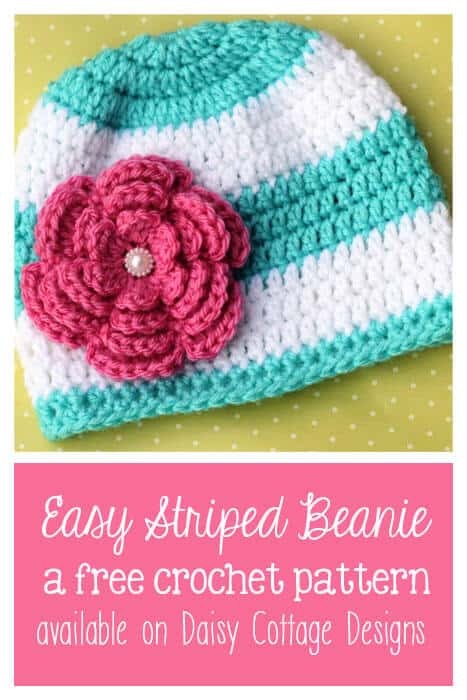 Very pretty 🙂 I have several beanie patterns I like, but I&#39;ve added the flower pattern to my wish list. I&#39;ll trade you weather: you can take the cold from Texas, I&#39;ll take the warm from Florida!